Bluegill Energy’s experienced and certified professionals provide independent, third-party verification and the required documentation to help commercial building projects comply with all eco-friendly green building specification and performance measures. 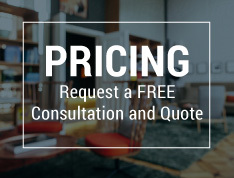 With more than 15 years of experience cutting through the complexity of the various eco-friendly green building programs, we help builders like you save time and effort by providing in-depth, cost-effective answers to your questions and concerns. We will be glad to answer all of your green building questions and provide verification and performance testing services in a timely manner.